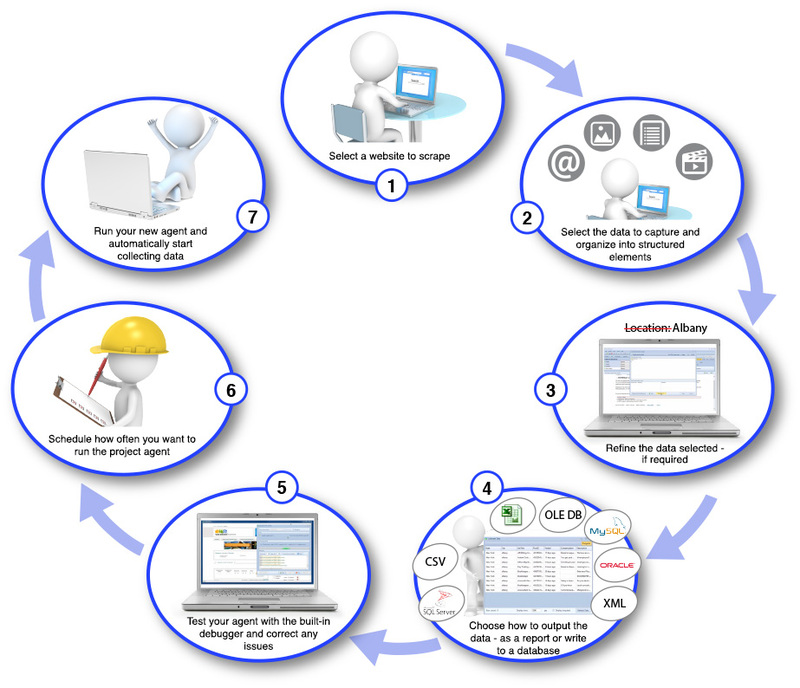 The diagram shows the key steps for building a web scraping agent. Below we provide links the other topics which explain each of these steps in more detail. Here in this section, we cover the identification of data elements on your target website and create a web-scraping agent. We'll work through each of the above steps with examples that match common web-scraping usage, so you can get comfortable building your own agents. After you get comfortable creating an agent, you can learn more about the Content Grabber Editor.